Ah, the story of every second blogger out there. “I write nice posts but do not get good traffic” or “I am fed up of high bounce rate on my blog. What should I do to engage my readers with content? Content creation is by now a necessary element in the world of internet. Original and high quality content can include you in good books of Google. But, we see many bloggers out there who in spite of writing good content are not able to accomplish their blog purpose. Why this is so? What is the thing they are missing? If you are having the same situation, you are not alone. There are millions of people who are attempting to engage readers on their blogs or website; after all engagement is the key to have a big pool of loyal customers. Every time you are about to create a new post, the fear of daunting web analytic stats haunt you. Don’t lose heart. Remember, you have to put time and effort to achieve writing excellence. Keep on your hard work and take care of few things which I will discuss next in this post. YOU CAN SUCCESSFULLY CONVERT BLOG READERS TO VISITORS just by paying attention to small but important things. Making few strategic changes in your way of working can bring a really good difference. Believe me! Here, in this article, I will shed light on some of the proven strategies that you can use to attract considerable traffic, full with readers that will love to visit your blog repeatedly and generate business for you. First of all, ask these questions from yourself. What value your blog will bring for readers? Why should people even care for visiting your blog? Is there something in it for readers? Remember, the web is full of distractions. It is very difficult to have relevant traffic on your blog and make them stay to read what you have written specially for them. Study in depth about your niche. Do a bit of research to know what people are looking for. Try to answer questions and solve problems. Give importance to time. Like in the beginning of 2016, you can write “Top Website trends for 2016”. 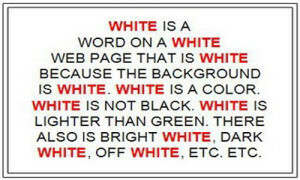 It can be an interesting topic and web designers may spare few minutes to read it and participate to give their input. Similarly, during Christmas season, you can suggest few Christmas themes or may ask users to suggest some themes. So there can be many more ways through which you can attract readers and encourage participation. Remember to be unique. Don’t go for the topics that are already prevailing on every other blog. If you do so, do it in your own unique way. Search more and unique information about the topic and include in your post. Only then users will opt to read your blog otherwise they will not even look on the information that they have read many times on other blogs. So either write on a brand new topic or do it differently. Give your readers a reason to stay and read your blog. Today’s visitors are smart enough to judge your blog. If you are unable to impress readers with your content, they will not even take a second to browse to another website which can be of your competitors. So in brief, Give interesting and value-added information and see traffic coming to your website. 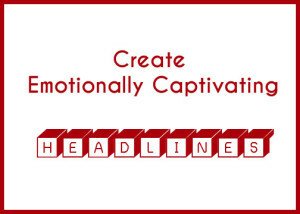 A headline is the first point of interaction with your readers. It is the headline that prepares users to read the rest of the article. A blog visitor will read it to decide whether to read further or just leave the blog. 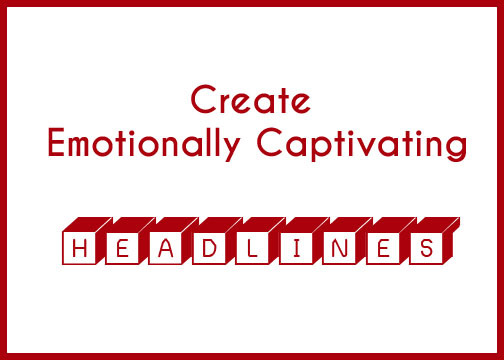 So if you really want readers to read your blog, use emotionally Captivating Headlines. 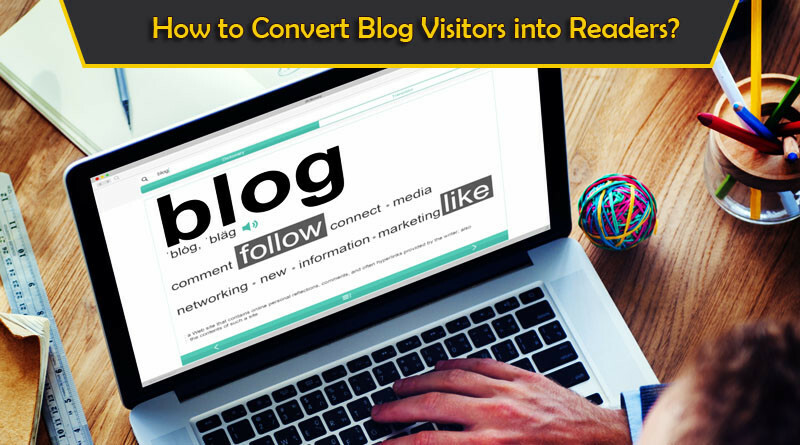 How to convert blog visitors to readers? How to plan successful PPC campaign to achieve your goals? How to recover from Google Penalties? What you should know to create strategic web content? How Quality Content can become link-earning source? Along with these, include power words in your headlines. You can also user different tools to check the potency of your headlines. Headline Analyzer by CoSchedule is such a tool that can help you write better headlines. 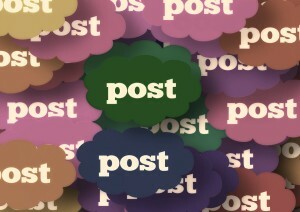 In my last post I have discussed length of a blog post and concluded that long posts are reported to perform well. In line with this principle that we should write long blog posts with interesting information, don’t overstuff your post with long paragraphs. 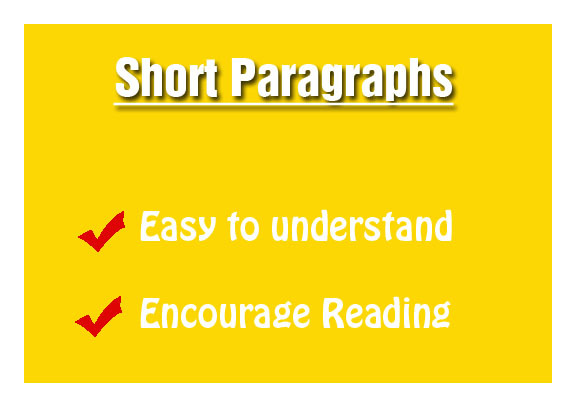 Write long posts but use short paragraphs. Large paragraphs seems heavy to users and they ought to skip them. 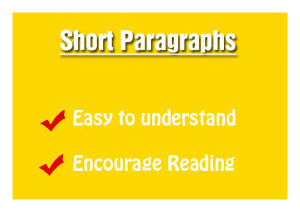 Instead use small, even two line paragraphs and your reader will find it easy to go through the complete article. Highlight important phrases and words to direct user attention. A picture speaks 1000 times more than words. Pictures attract users 3 times more than simple text. A human brain is more receptive to pictures and process rapidly in comparison with simple text. Adding relevant picture to each heading of your blog is one of the ongoing blogging trends. When I say pictures, I don’t mean only picture but I also refers to infographics and videos. All these are visual tools that are use to add authenticity to your content and grab user attention. Don’t worry if you cannot afford paid graphics and videos. Infographics are highly attention grabbing. To create a compelling infographic, you can use Canva where they have made it damn easy and thats too for absolutely FREE. Similarly, you can find a free and relevant video on Youtube, just like I have used this video. Likewise for free and high-resolution images, pictures and graphics, you can use resources such as unsplash. So there is a variety of resources available and you just need to know how to use them. By using these visual resources, you can expect 80% growth in your blog traffic and reduced bounce rate. A blog post filled with visual resources is reported to have 94% response rate and users feel urged to share content that is supported with visuals. In doing SEO writing, we often forget that we are writing for humans. Many times bloggers commit this mistake of over-stuffing blog post with lot of keywords. Remember, overusing keywords reduce your credibility and pose you as you are just writing for bots. Unnatural use of keywords makes your content suspicious in sight of Google and your blog may get penalized for using poor content. If not penalized, at least you will not get good ranking and will not be able to attract any traffic to your blog. Do use keywords but in a natural way. After you write a post, read it as a reader and if you will more keywords, rephrase it. After all we are writing for humans, not for bots. 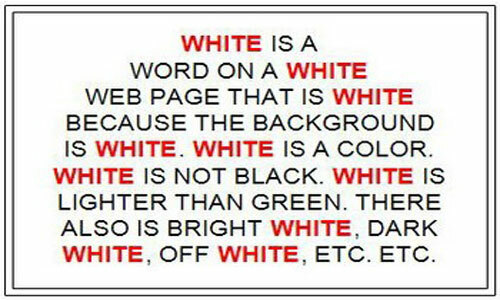 So to convert blog visitors to blog readers, follow the following rules. Do not think that following these rules will give you results overnight. It takes time to show results but you will soon experience gradually improving traffic on your website. A good blog will attract relevant traffic that will results in high conversion – the ultimate goal of a blog. Do you want to drive web traffic to your blog? Along with writing good content, it needs search engine optimization efforts to bring quality and targeted traffic. Don’t have time for SEO. Let us know and we will do it for you. We are experts in SEO Malaysia. Contact us for free SEO audit and consultation.